Hi! Welcome. I’m Thomas, and I am a software team manager, with over a decade of programming and technical experience. This is my personal site and you’ll find a real mixture of things I do in my spare time. I used to suffer from social anxiety as well as panic disorder. Although, these days, they’re no longer a problem for me, I still get feedback at least once a year thanking me for it, so it shall remain. I hope others find this interesting and helpful. 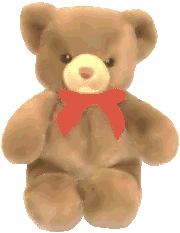 Ever since I found out about the xteddy unix program I ran it on my workstations when I was doing my University assignments, as it helped me think. At that time I was still writing for the Linux Gazette and as such I emailed the author to get more information about thim. I liked it, and then found a “real life” version on EBay. At this point I thought I’d register the domain name. The rest is, well, history. tmux – of which I maintain the portable version of tmux. I run FreeBSD and OpenBSD at home. I use Linux elsewhere. I’m still one of the core developers to this project, but these days development has mostly stalled. It’s still a good, solid, window manager though. Although I am not academic, I used to do a lot of writing – be it techical documentation or writing for on-line journals. I co-authored a paper about student retention and activity integration Can More Intergrative Activity Improve the Learning Experience – published and spoken about at a BCS conference in 2006. My grandparents had their 50th wedding anniversary in 2003. Bus X11 exists and it’s your ride to anywhere in Geekdom! I’ve written a short monograph on the Pelican Crossing Phenomena. I’ve mirrored xwinman.org since it’s a valuable resource for window manager information.